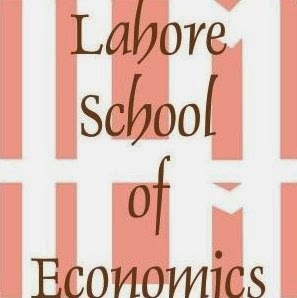 Students of Lahore School of Economics discussed the present fiscal situation in Pakistan during a pre budget discussion that was held at the School on May 31, 2010. The discussion focused on revenue generation and collection and expenditure on health, education and security. The pre budget discussion was organized at the Lahore School Main Campus in cooperation with Dawn News. Second Lahore School of Economics Faculty Training Workshop was held on May 8 and 15, 2010. Abstract: This paper analyzes Pakistan’s energy sector issues and highlights : (i) the importance of the link between energy and the environment ; and (ii) the central importance of energy efficiency for the high return demand side solutions for meeting the nation’s energy needs. The paper argues that energy planning should integrate the external cost of energy use in deciding about the composition of supply: coal; oil ; gas; hydro; renewable; nuclear; solar. Currently , external cost of energy does not play a significant role in energy policy deliberations. The paper utilizes external cost estimates made by the European Commission for Europe, and the US National Academy of Sciences for the US to derive a Total cost (External + internal) ranking of primary energy sources for Pakistan. This estimate is the low end of the cost spectrum because classic pollutants — sulfur dioxide, Nitrogen oxides, carbon mono oxide - in Pakistan are significantly higher than in Europe or the US. The paper discusses the experiences of China and OECD countries in increasing energy wide efficiency.The lessons are used to make recommendations for increasing energy efficiency in Pakistan. A central lesson coming out of the analysis is that Pakistan will have to significantly increase its energy related Research and Development (R&D) expenditures in order to adequately address its energy sector issues. A quadrupling from 0.25 % of GDP is recommended over a decade. The Indus Basin Irrigation System (IBIS) of Pakistan has developed the world’s largest canal network. The construction of large water storages at Mangla, Tarbela and inter-river link canals are the major milestones in the IBIS management. The system is designed to allocate the scarce water resource over a large geographic area on equitable basis, although equitable distribution is self-defeating as the delivery system is positively linked to the landholdings. The water demand has increased tremendously over time due to expansion of agricultural cultivation on marginal land, increase in agricultural intensification, and fast population and industrial growth in the country. However, development of the IBIS has lagged way behind the increased water demand. The major water structural challenges currently facing the IBIS are inadequate storage capacity, highly seasonally variable river flows, increasing water shortages during whole Rabi crop-season and sowing-time during Kharif crop-season, inadequate transfer capacity of link canals, and extremely long lead times from reservoirs to the farmers’ fields causes large conveyance losses. The major management problems are poor operation, maintenance and monitoring of the system causing large water leakages, untitled water rights creating tension among regions and farmers, supply rather than demand driven system which not only creates inequitable distribution (especially to tail-end farmers) but also inefficient water use, and lack of holistic approach for the efficient utilization of water resources available from both surface and underground. In the face of stagnant or even declining water storage capacity of dams, the use of groundwater has tremendously increased facing an increasing danger of depletion, quality deterioration, and serious environmental consequences. For the purpose of conjunctive use of canal and groundwater, the required planning and management at the command area-level is lacking. The emerging impacts of climate changes would add a new dimension to these challenges.